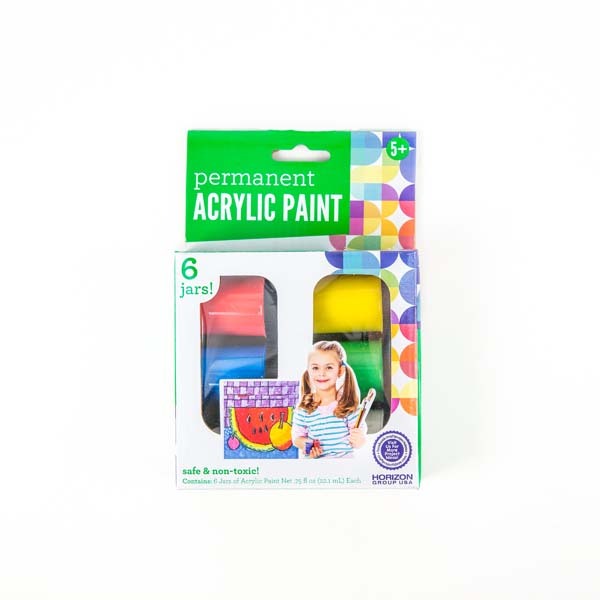 Introduce your children to painting with the vibrant pigment and colors of acrylic paint. Acrylic paint is a great paint for mixing colors and can be used on paper, wood, cardboard and other art media. Great to use for school or at home arts and crafts projects!